My cat, Chon. He was my bedfellow and constant companion for 13 years straight, and I miss him every single day. You can send him a Facebook friend request here. Mom and daughter stuff like shopping, lunches, and more shopping! Hiking in the redwood forests. 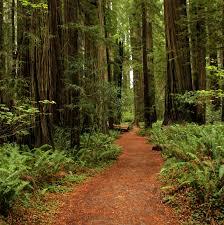 There is nothing in the world like the grounded, inner peace I experience when spending time alone in the redwoods. All things Mexican: Mexican people, Mexican food, and Mexican culture! And of course speaking Spanish. The beach. Maybe even a bonfire or two. Friends and family. Of course! Flying. I’m hoping to get some time in the Cub while I’m home. To see a quick video of me flying, click here. What I’m NOT looking forward to? The drought and ultra-quick five minute showers. Ugh, what a drag! But still I’m happy to have this reprieve from Taipei’s hot and humid summer weather, in addition to all the aforementioned reasons. I may not be blogging much while I’m on vacation, but I plan to be back to full speed in July. Multiple Languages Getting Jumbled Up? A student before class today asked me to orally translate a paragraph in her English text book into Spanish. I think she was curious to hear a language that is seldom spoken here in Taiwan. Although I am by no means a translator or interpreter, I am usually quite capable when it comes to basic and on the fly translations between English and Spanish. However today I experienced a strange and new situation, which has me feeling both happy and concerned at the same time. Happy because all this Italian and Chinese study has been paying off. As I was reading and simultaneously searching for the Spanish translation in my mind, Chinese translations kept popping up. Not only was I thinking in Chinese, but Italian was coming out of my mouth instead of Spanish! This tells me that my brain is active in both of these languages, which is great news. And it also makes a lot of sense. When it comes to translating I am doing more of that with Chinese and Italian than Spanish. Because I’ve been a fluent Spanish speaker for more than a decade now, I rarely have the need to translate between English and Spanish. I can fully operate and think in Spanish. Even when I encounter an unfamiliar Spanish word I read the definition in Spanish or infer it from a Spanish based context. So translating is not a well developed muscle. However, in Chinese and Italian I’m still functioning at a lower level with a need to translate into English for comprehension. What concerns me ever so slightly is the old, haunting fear that I may someday, somehow forget Spanish. This fear serves as a friendly reminder from time to time to put my Spanish into active mode by reading a book, emailing or instant messaging some Spanish speaking friends, or listening to some of my favorite music in Spanish. My overall conclusion is that my brain is primed to think “Chinese” or “Italian” because these are the languages I’m very actively learning. It is also indicative of the fact that learning more than one language at a time puts me at risk of mixing them up and some minor confusion when trying to move swiftly between two languages, even if I am fluent in both! However, by slowing down and settling into one language, the mix up seems to be minimized. 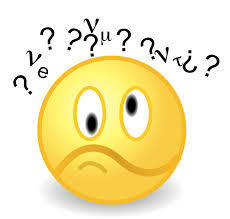 So far it has only been a problem when trying to think in two languages very quickly and simultaneously. And although my Tagalog is still gestating in the stage of input and listening, daily I have the experience of random Tagalog phrases popping into my mind. But so far Tagalog is unable to compete with the deeper grooves of Chinese and Italian. How do you experience the contrast of your dominant, fluent languages against the languages you are actively learning? Do they ever get jumbled? Do you find it amusing or frustrating? I’d love to hear about your experiences! One thing many foreigners in Taiwan will notice, in addition to this, this, and this, is the extent to which politeness permeates Taiwanese culture and life in Taiwan. Taiwanese people are generally exceptionally polite and courteous, especially to foreigners, and if asked for help or directions they will do their best to be of assistance. This is partly because Taiwanese people pride themselves on being 熱情 (warm hearted & hospitable) to foreigners. Whenever I have expressed frustration on the blog about Taiwanese people who insist on speaking English to me, the feedback is always that it is intended to be polite. “Polite” is what motivates and underscores most Taiwanese social interactions. At first blush, Taiwan’s culture of politeness seems commendable, even if sometimes thwarting immersion language learning. However, in my point of view, it feels like politeness trumps honesty in Taiwanese culture. And I find this to be rather unsettling. Let me pause here to say that I also value polite behavior and kindness, and I object to people who, under the guise of “being honest” feel they have permission to be cruel, insensitive, or unkind. I believe there is always a kind way to be honest. Taiwanese people will routinely act as if things are okay even if they are not, in order to be polite. In this same vein, Taiwanese people tend not to express their true emotions or opinions. If you ask a Taiwanese person how they are doing or how they like the food, they are likely to respond, 還不錯，還可以，or 還好 which roughly translates to a bland, “it’s okay, not bad, alright.” If you ask for their preference you will often get a neutral answer. If you show up late in social situations your Taiwanese friends will say 沒關係 or 沒問題, “it’s no problem.” Very rarely, if ever, will someone call you out on your behavior or say they didn’t like what you said or did. When dealing with acquaintances, Taiwanese people will almost always avoid direct conflict and opt for a polite response instead. As an American this can be confusing and maddening. Taiwanese people have fine tuned antennae and seem to “know” that the other person has been offended or really liked the noodles, even when they express neutrality. Despite the fact that I am quite adept at reading people, Taiwanese politeness can feel like truth twisting guessing games. I am often left wondering what the person really thinks or feels, feeling awkward and unsure of where I truly stand with someone. And the most problematic part is, I feel like it’s hard to connect in an authentic and sincere way with people. How can I really get to know someone when everything is sugarcoated with polite and their real thoughts and feelings are off limits? Some sources say that the emphasis on politeness stems from Confucian values, in which politeness and good manners are believed to maintain civility. Additionally, Japanese culture, which has its own brand of politeness, has exerted a strong influence on Taiwan as a result of Japan’s occupation during the first half of the 20th century. I also suspect that a cultural policy of politeness is the byproduct of a collective culture whereby the harmony and cohesiveness of the group is valued over any one individual’s opinions or feelings. Therefore, remaining neutral and calling this neutrality “polite” is how Taiwanese keep from rocking the boat. It has been my personal experience that some Taiwanese people (many who have lived abroad in western countries) are burning to express themselves in more individualist and authentic ways, and perhaps that is part of the reason they associate themselves with westerners like myself. But even these people tend to have the “polite habit” programmed into their communication responses and their thinking. The concept of “face” is also folded into the psychology and need to be polite. Taiwanese friends may go out of their way to save each other and themselves from losing face. The topic of face and how one loses it is perhaps the subject of a future post. But it plays an important role in the way Taiwanese people think and express politeness. Perhaps it is this culture of politeness that has so many westerners thinking Taiwan is such a wonderful country and so they stay for decades. In a place where you can do no wrong (as least no one will tell you so to your face) it’s a pretty comfortable and amenable life. As a westerner you don’t even have to learn Chinese because Taiwanese people will speak to you in English as a polite gesture. You won’t find many people openly disagreeing or challenging you, and people will smooth out the impolite or awkward social infractions you leave in your wake. But frequently these same westerners lament that Taiwanese people are fake, superficial and empty. When I hear or read these criticisms they sound like a judgmental interpretation of the cultural phenomena of polite versus honesty and authenticity. I believe under the surface of “polite” Taiwanese people’s inner lives are just as rich, diverse and profound as any. But the cultural tendency toward politeness over honesty and keeping one’s emotions and opinions private and guarded may come across to effusive westerners as vacant and shallow. Although I appreciate the politeness on some level, I would much rather opt for honesty if given a choice. An open discussion concerning feelings and opinions enables deeper connection and sharing than just pretending everything is okay when it’s not. I would like to cultivate meaningful relationships with people here in Taiwan, and the only way I know how to do that is based on honesty and a willingness to be open and vulnerable. Which leaves me wondering how Taiwanese people connect in meaningful ways. Obviously I have a lot to learn and I’m still seeing things through the lens of my American perspective. And of course, I would prefer Taiwanese people speak Chinese to me, even if it is less “polite” to do so! After all, I moved here for the sole purpose of learning Chinese.